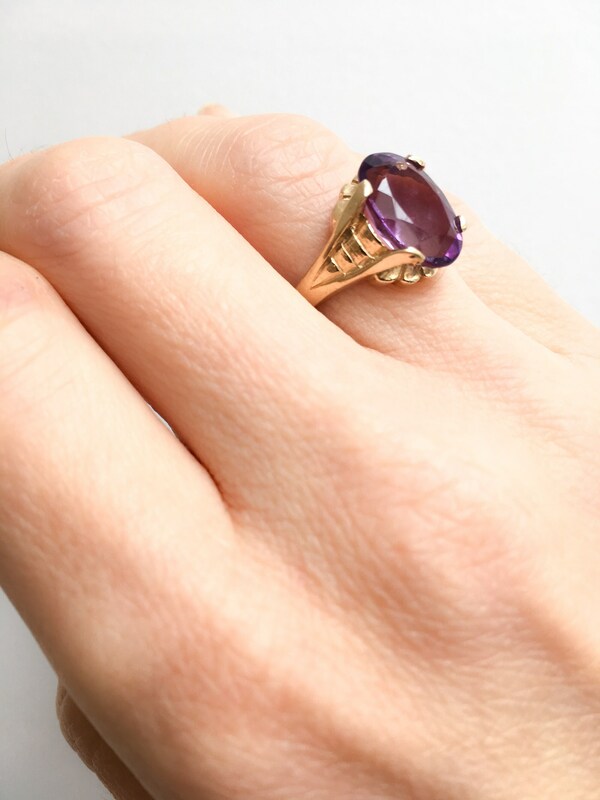 This lovely 14K Yellow Gold ring was made by hand in our own workroom, although it was inspired by the Deco motifs of the 1920s. 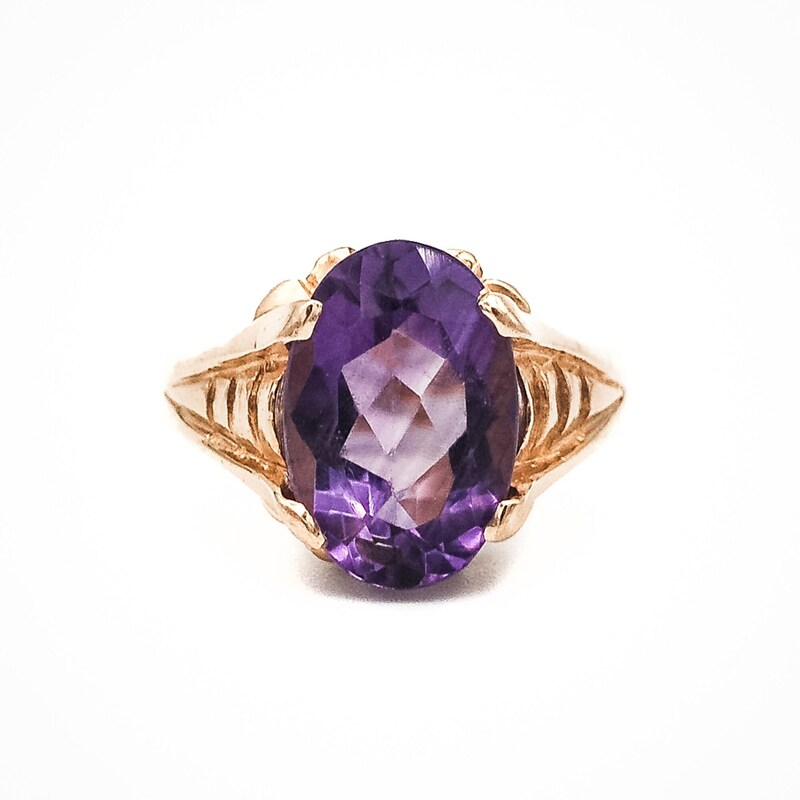 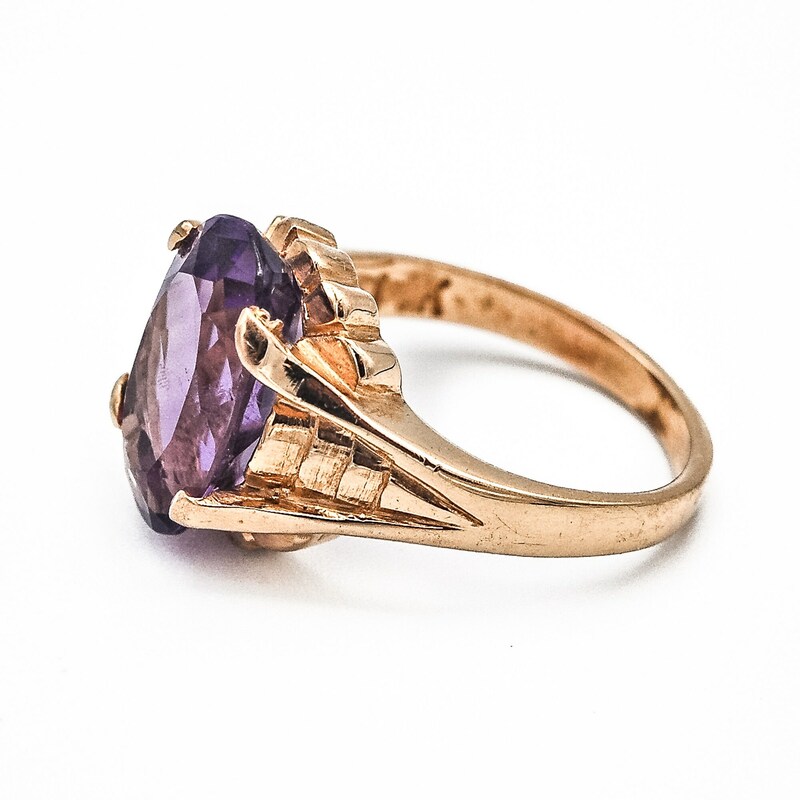 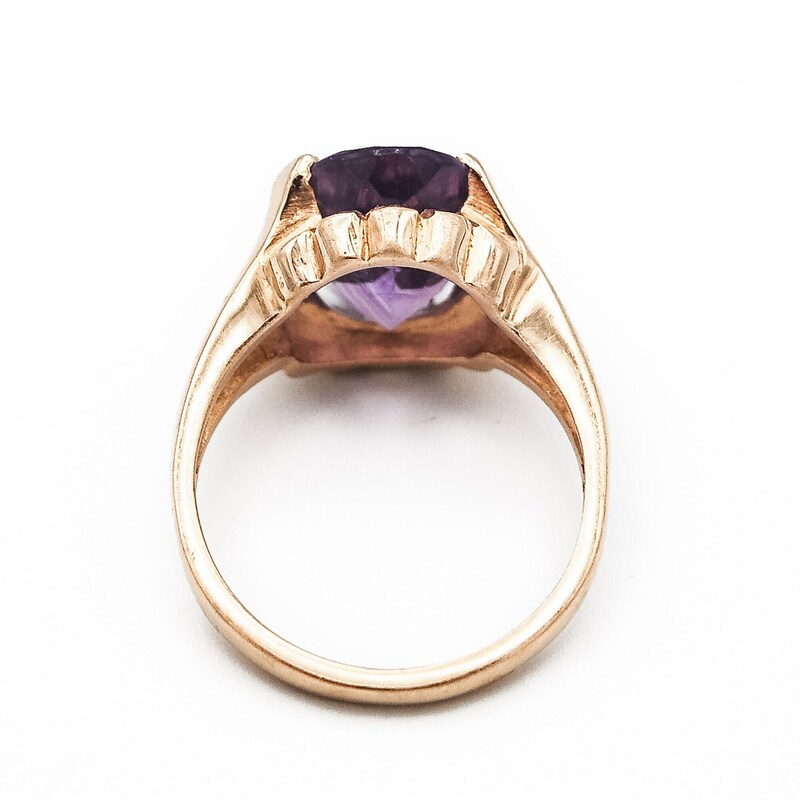 It is prong set with a beautiful oval faceted natural amethyst which exhibits a deep rich velvety purple with even color pigmentation. 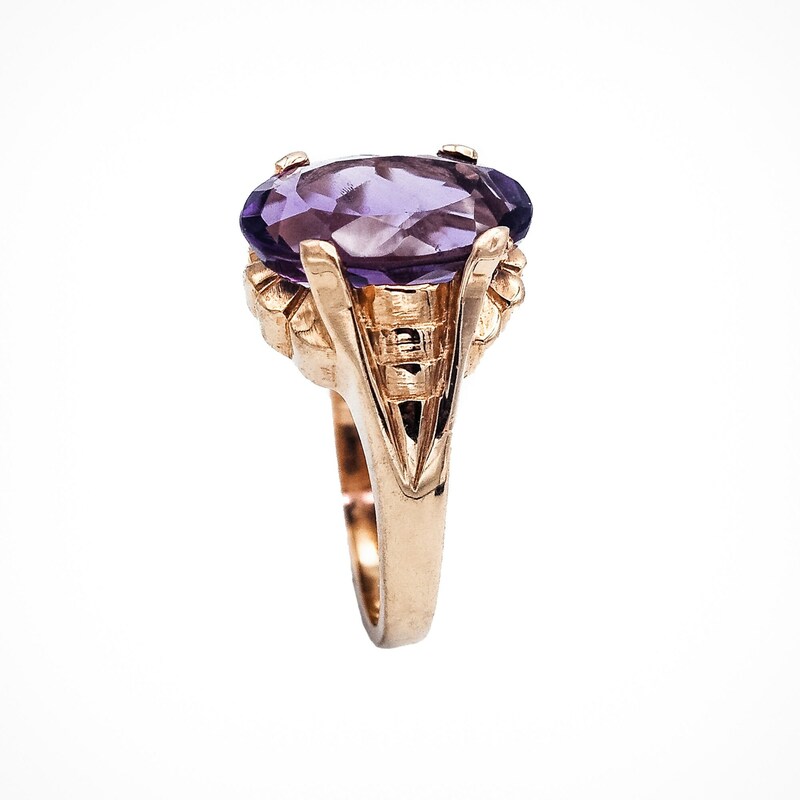 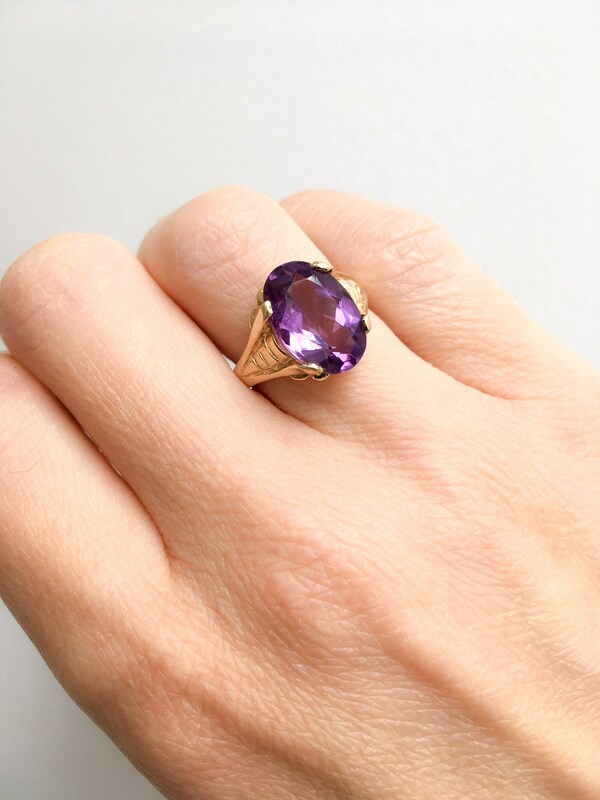 This solitaire ring is substantial in weight and perfect to wear on a daily basis by the February born or anyone who favors the color purple. 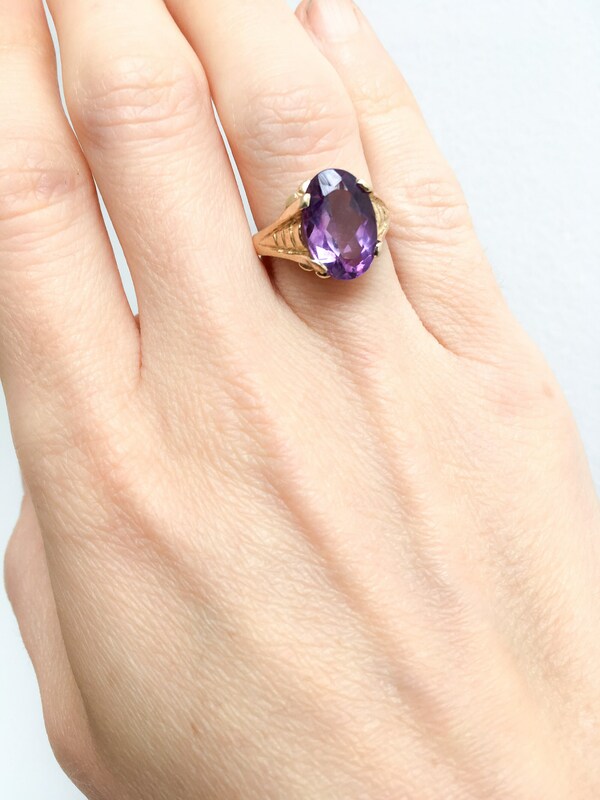 Although unique, it is also classic and timeless. 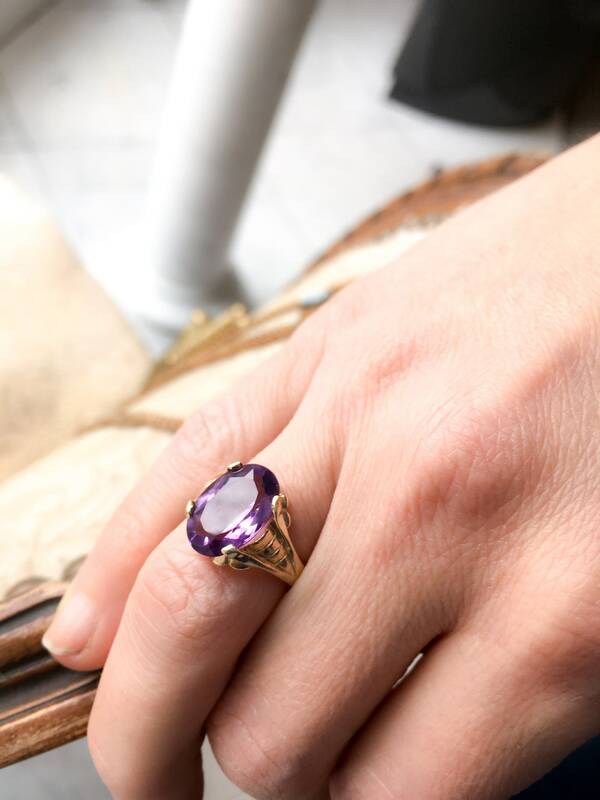 This ring is a size 5 (US), but we can re-size it to fit you comfortably.